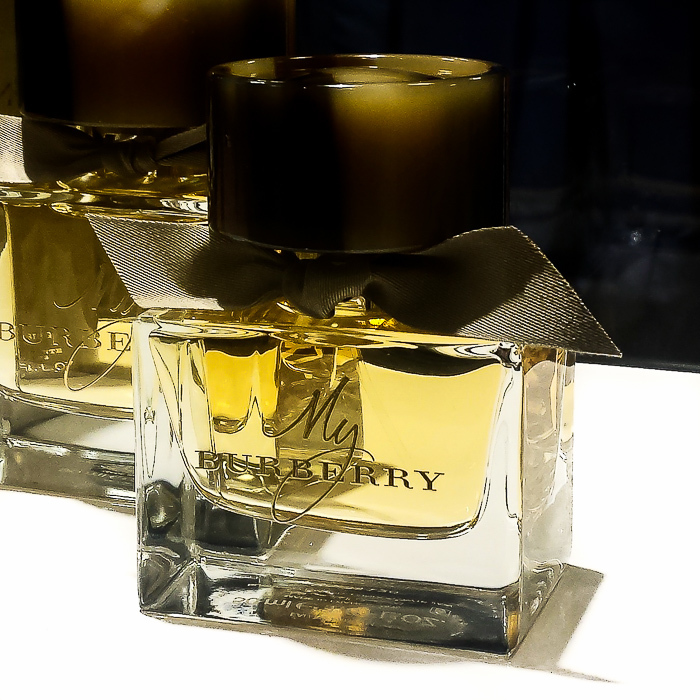 Burberry's new My Burberry perfume is inspired by the iconic Burberry trenchcoat, the impressive heritage and craftsmanship reflected in the bottle design while the fragrance itself is inspired by the scents in an English garden after the rain. Fragrance notes (as listed on the Sephora website) include sweet pea, bergamot, geranium, golden quince, freesia, patchouli, rain-tipped damask and centifolia roses. Style - effortless, personal timeless. 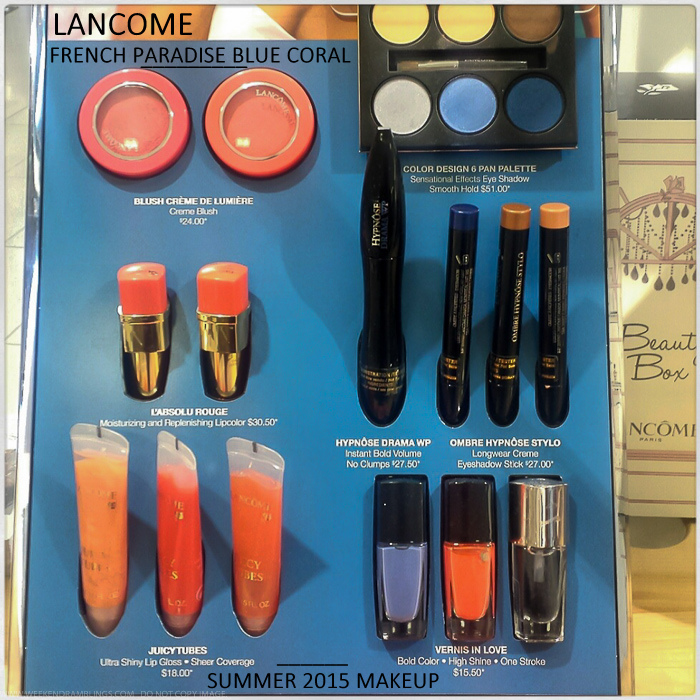 Lancome French Paradise - Blue Coral Makeup Collection for Summer 2015 captures the essence of summer perfectly with bright corals and vibrant blues tie in with a beach/pool-side cocktail theme and easy fun makeup. This does seem to be a common theme with a lot of brands this year (especially Chanel Mediterranee collection), Anywho, heres's a look at swatches of some of the products from the Lancome French Paradise Blue Coral makeup collection. Chanel Mediterranee Makeup Collection for summer 2015 arrived at my local Nordstrom, and I a chance to try out colors and get some swatches. 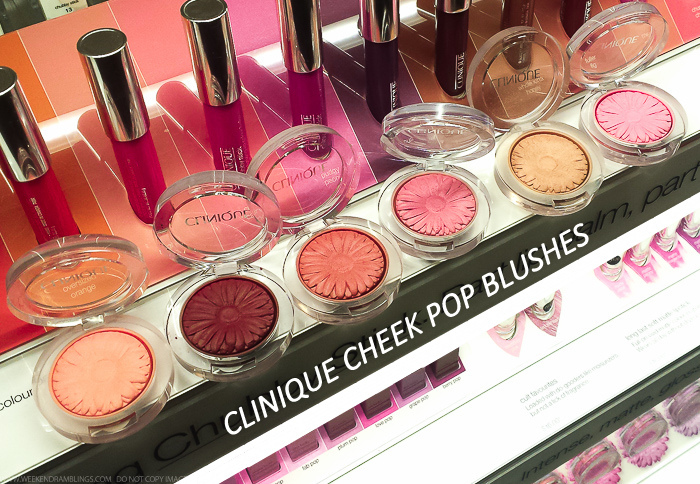 Typical for most summer makeup collections, this one too features bright colors. The collection includes the usual Rouge Coco Shines and Levres Scintillantes lipgloss as well as 4 nail polishes. Also part of the collection is a new bronzer (golden bronze Lumiere d'Ete) as well as 5 shades of Stylo Eyeshadows. Scroll on for swatches. 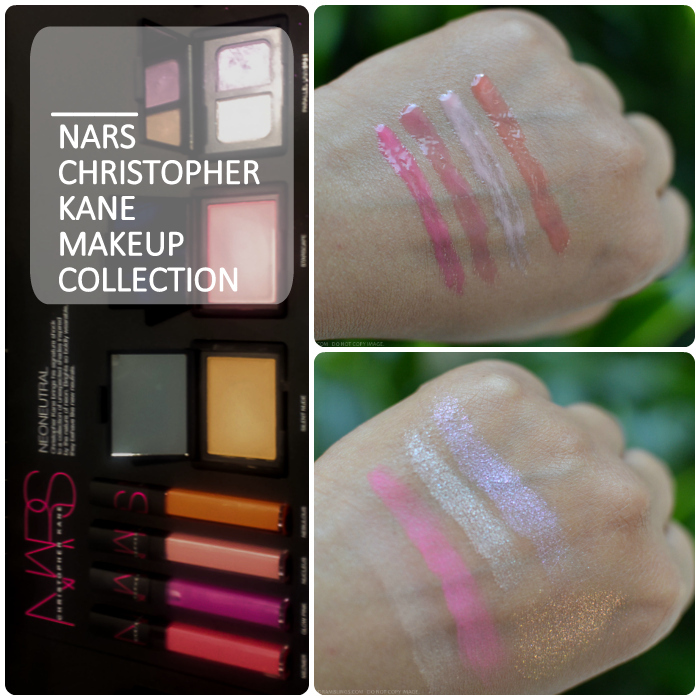 NARS Christopher Kane makeup collection is a recently launched capsule collection from the brand for summer 2015. With bright vibrant colors and shimmery eyeshadows along with a few nudes, this collection fits in perfectly with a summer makeup theme without being overly loud - neoneutrals is a perfect word to describe it. Here's a look at swatches of some of the products from the NARS Christopher Kane Summer 2015 makeup collection. 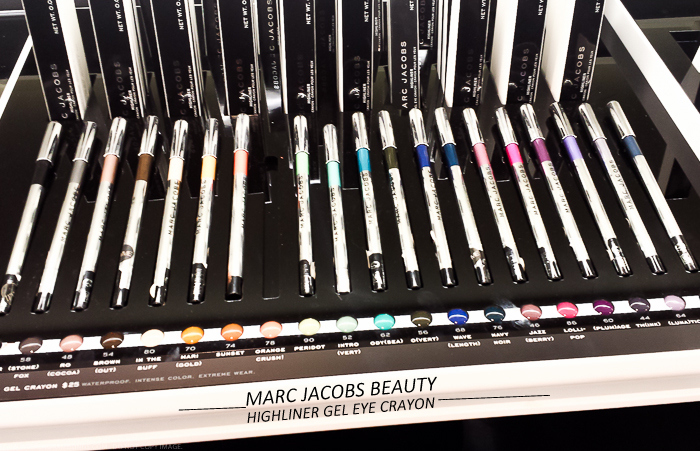 Marc Jacobs Highliner Gel Eye Crayons are long-wear waterproof eyeliners that come encased in a crayon-type packaging. The eyeliners glide on like a dream, have intense color payoff, and are available in a range of colors from rich black to bright pink. Of all the Marc Jacobs products, I would pick these as my favorite! I had swatched a couple of these eyeliners when they first launched a while back, but there are quite a few newer colors now, so here's a look at the swatches.